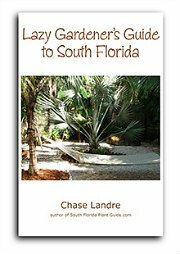 Landscaping with the native plants of Florida is very popular for their reputation of low maintenance...in fact, you may be using many in your South Florida landscape without realizing they're native plants. 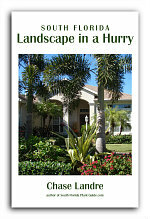 ...from ferns to wildflowers, grasses to groundcovers, palms to vines, trees to shrubs. Many attract butterflies with colorful blossoms and birds with tasty berries. A lot of these plants work best in an informal setting, especially since during winter weather they can become scraggly - or even die back. However, there are some that keep their good looks year round - and those that respond well to a clipped look so they can work in a more formal landscape. Native plants need no care. Not true. All plants require watering to get them established. Once they're well on their way, most will do fine with watering only during dry spells. However there are some that originated in wetlands and require more water than other plants. All plants benefit from fertilization, though fertilizing is not a necessity. Most require trimming, though, to keep them lush and bushy. They will grow anywhere in a South Florida landscape. Again, not true. Some are from regions of scrub forests, others by the beach, still others from swampy areas. If your house is by the water, you need salt tolerant plants - native or no. Sun or shade, wet or dry - conditions in your yard may not be right for certain plants - again, native or otherwise. Pests won't attack native plants. Garden pests aren't choosy - they don't discriminate between non-natives and natives. Natives have been here forever. Hardly. Florida was once at the bottom of an ocean. Our "native" plants came here by way of wind, birds, and other natural means. 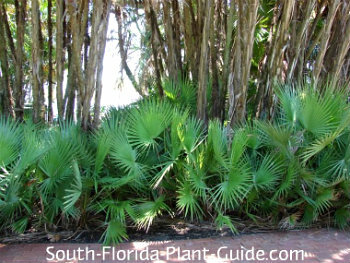 Plants here in the mid 1500's when Spanish settlers arrived are considered Florida native plants. "Exotics" are plants that have been introduced to our landscapes since then - brought in by nature or by man. Many have been here for a long time and do very well, coexisting with native vegetation and decorating our properties with color and beauty. Some - like Brazilian pepper - are invasive and destructive, taking over thousands of acres. 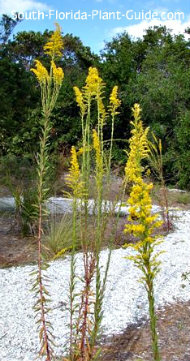 Florida native plants are indigenous only to Florida. Nope. Most are native to other areas as well - the Caribbean, Mexico, some from all over the Southeastern United States and even further north. 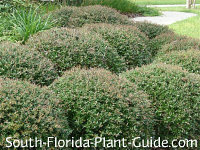 They're rare and endangered, so I should plant only native plants of Florida. Many natives are common, growing in the wild and as landscape plants. Certainly you can do a native-only landscape, but most people opt to do a combination of natives and exotics. That being said, land development and the encroachment of invasive exotics has threatened some natural habitats. A prime example is scaevola plumieri. This tough little plant, which will grow right on a sand dune, is considered a threatened species because it and many other coastal plants have been removed for building. 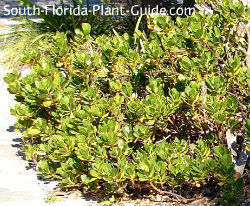 Scaevola - also called "Inkberry" - is planted as a beach colonizer, where it stabilizes a sand dune so that other plant material can grow there too. A similar looking shrub - scaevola taccada or beach naupaka - has been sold as Inkberry, but it grows quickly into a larger shrub and is invasive. For species that are more rare, native plant nurseries do a great job of keeping many of these plants (as well as more common ones) available. 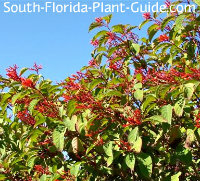 We've included many native plants of Florida in our Plant Pages - see links to them on the right column of this page. 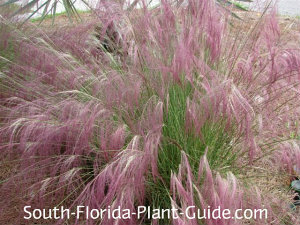 But there are thousands of natives to choose from - for more information, check out the Florida Native Plant Society and PlantRealFlorida.org. And don't miss our special section in Landscape in a Box on Native Plant Landscaping, with photos of plants to combine for a beautiful landscape.